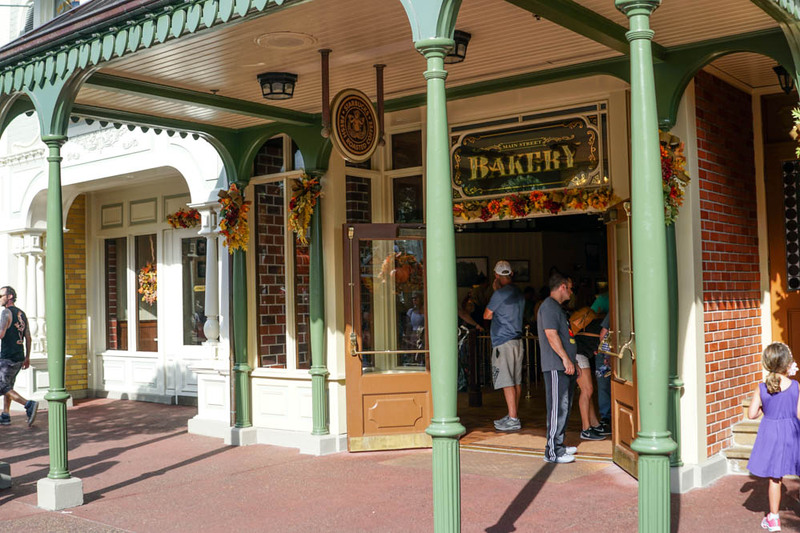 Themed to fit on turn-of-the-century Main Street U.S.A., the Main Street Bakery is the Magic Kingdom's first Starbucks location. Patrons can pick up their favorite Starbucks beverages, artisan breakfast sandwiches, and a selection of baked goods, including muffins, scones, and specialty treats. The classic Main Street treats guests have come to love are also served, such as brownies, cookies, and seasonal cupcakes. There are currently 26 reviews for Main Street Bakery. Replacing the classic bakery with a Starbucks was a bad idea, in my opinion. I miss the old, classic cinnamon rolls. My husband adores the cinnamon rolls I miss the french toast loaf..
Read Full Main Street Bakery Reviews! You can also search for Main Street Bakery specific threads! All menu items/prices are subject to change. Last updated 12/02/2018.